Centuries ago God put in the Bible His desire that His followers mentor others. Is this happening today in your life and your church? Mentoring is a brain to pick, a shoulder to cry on, or a push in the right direction. In the New Testament, God sent His Son to be our supreme model to follow. Jesus was and still is the master mentor. For three years day and night, Jesus taught and modelled a life worth copying before the twelve disciples. Jesus taught, encouraged, modelled, and invested in the disciples. Jesus wanted them to take hold of his lamp and ignite his father's message and teachings throughout the world. In our monthly 'EVE's got Male" show, we discuss how mentoring has always been part of the fabric of society and discuss whether our first mentors - parents are falling short of their duty (especially in the earlier years). We also discuss why Christians do not look to Jesus to be their ultimate mentor given the immense challenges many of us face. In a time when young men are facing the prospect of unemployment, we ask where are our mentors? 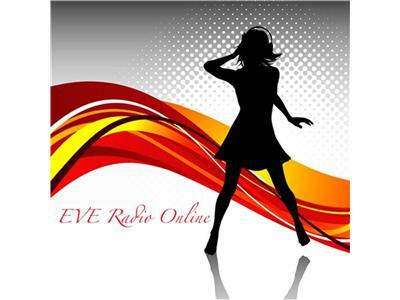 Join Dee *& Friends this Friday from 8pm to 10pm (GMT) for 'EVE's got Male!" - You'd be foolish to miss it!